The leaves are about to start changing, the days will get shorter, and mornings will grow chillier and crisp as summer fades away. And though we will miss long summer days and warm nights, we have a brand new, exciting season approaching! So why not start thinking about some fun recipes this autumn? Make best out of every variety of Pumpkins and squashes. Use fresh pumpkin. Look for pumpkins without blemishes that are firm and smaller in size. Whole pumpkins can be stored in a cool dark place for up to two months. Don’t throw away the seeds. You can bake them for a wholesome, crispy snack. A cup of cooked, mashed pumpkin has more than 200 percent of your recommended daily intake of vitamin A, which aids vision, particularly in dim light, according to the National Institutes of Health. Make a trip to pumpkin beer breweries. Visit an Orchard. The season for apple picking! The prime months for ripe apples is September and October. 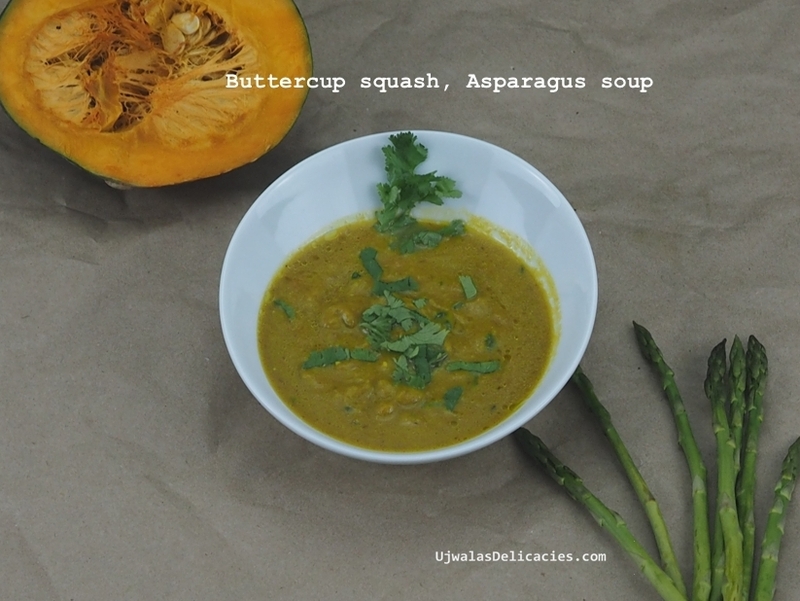 2 cups - diced buttercup squash. ½ tbsp - ghee (clarified butter). Substitute with butter if you don't have ghee. Pour oil in a pan. Heat on medium high. Add cumin to oil. Fry for 40 seconds. Peel buttercup squash skin with peeler. Squash skin is hard to peel. To easily peel skin off, steam squash in a pressure cooker or pan till soft. Once cooked till soft and cooled down, skin simply comes off with you hand. 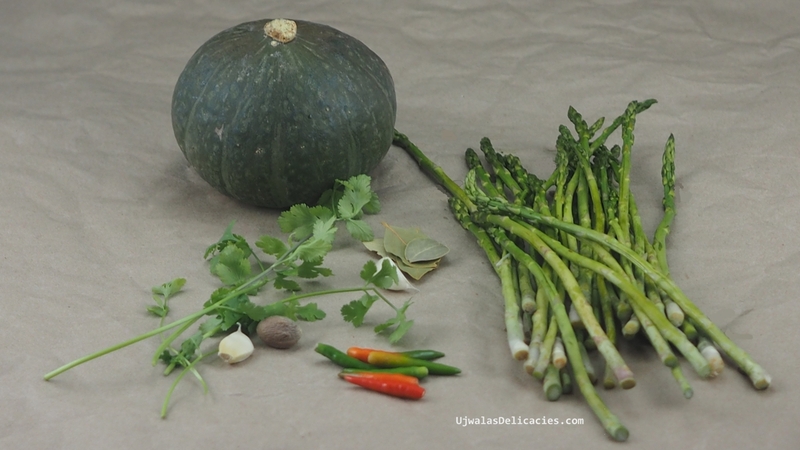 If you steam squash, no need to cook along with asparagus. Remove skin, directly add to blender to blend. It is your choice whether to steam or cook. Add chillies, onion, cut asparagus. If you prefer peeling skin off of buttercup squash, add cubes now. Stir. Close lid. Cook for 2 minutes. Add salt. Stir every 2 minutes. Cook for 10 minutes or till squash is soft. Turn off heat. Let it cool. Blend this mixture till paste. In a pan, add ghee. Add bay leaf, grated nutmeg and milk. To make vegan, add nut milk or coconut milk. Cook for 2 minutes or till it boils. Turn off stove.